Celebrate the end of ski season with a massive party happening this weekend at Mount Seymour. 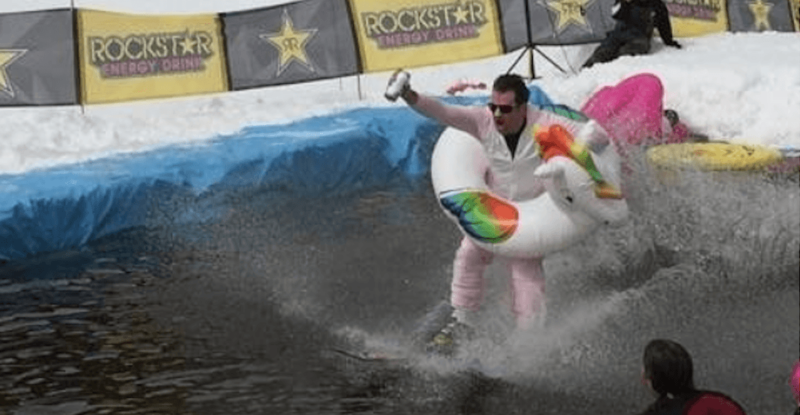 On Saturday, April 13 from 12 to 3pm head up to Mount Seymour for their last big party of the season, the Rockstar Energy Puddle Party. Registration for the is event is free but you’ll still need a valid area or season pass, and all participants must be 10 years of age and older. There will be live music, a beer garden BBQ and fire pits to warm you up after you participate or while you watch. Visitors are also welcome to cool down after their run across the water with a dip in the pool while in their awesome costumes for the event. Registration starts at 11 am.